College of Information Science & Technology receives funding to continue and expand SFS program. The University of Nebraska at Omaha (UNO) College of Information Science and Technology (IS&T) has been awarded a $2.1 million grant from the National Science Foundation (NSF) to continue and expand its CyberCorps Scholarship for Service (SFS) program. SFS helps strengthen the pipeline of highly-qualified students entering cybersecurity careers. The scholarship is specifically designed to support students who will work towards protecting the United States government’s critical information infrastructure such as utilities, military defense systems, and water treatment. The grant will provide scholarships for qualifying students that may fully fund the cost of attending UNO, including: tuition and some fees, $22,500 stipend for undergraduate students and $34,000 for graduate students per academic year, a summer internship with a government agency, and a cybersecurity position at a government agency upon graduation. Students in IS&T’s SFS program will host their own Capture-the-Flag (CTF) cyber operations competition aimed at high school students, with specific recruitment goals of inviting underrepresented groups and rural communities to the event. The SFS scholars will also be challenged to create a “CTF-Cyber Operations in a Box” project, which will be shared with other higher education institutions and high schools to use in their own classrooms when teaching cybersecurity curriculum. SFS at IS&T has been in place since 2004, the same year IS&T’s cybersecurity courses opened for enrollment. SFS has seen 35 students graduate with a Cybersecurity degree. The initial funding amount of $709,049 has already been received, the with the total expected to be $2,170,960 spread out over the next three years. Cybersecurity professionals are in high demand. According the U.S. Bureau of labor Statistics, cybersecurity positions are expected to grow 28 percent through 2026. Payscale.com reports that median salaries for cybersecurity professionals range from $65,673 to $109,113. 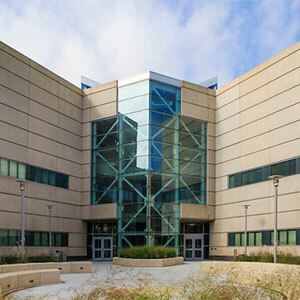 The College of Information Science and Technology (IS&T) at the University of Nebraska at Omaha represents the joint efforts of the University of Nebraska, the State of Nebraska, and private industry to address the growing global needs for knowledgeable professionals in Information Technology (IT). The College was established at UNO in 1996 to meet the growing demand for IT graduates in the Omaha metropolitan and surrounding area.